Microsoft announced the name for the next feature update for Windows 10 during the first day of the Build 2017 conference: It is the Windows 10 Fall Creators Update. 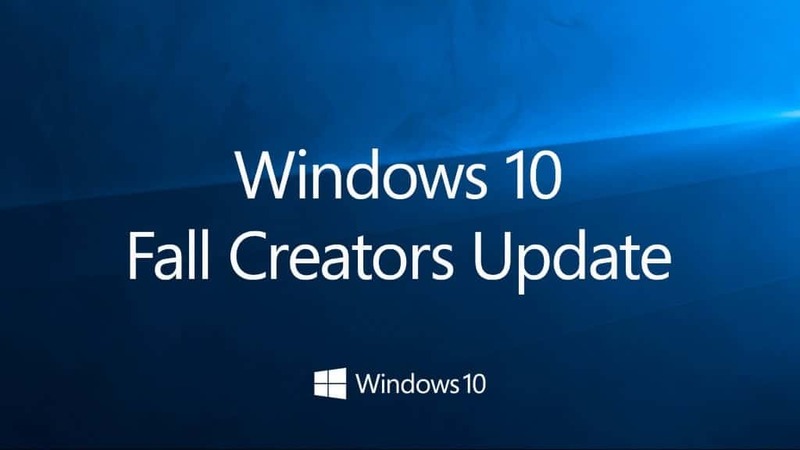 It is not the most ingenious of names, considering that the most recent feature update for Windows 10 was called the Creators Update already. Microsoft wants to make it clear with the name that it will put a focus -- again -- on creating things in the next feature update for Windows 10. First user responses on Twitter and elsewhere show that many are disappointed by the name, as they had hoped for something new instead. More important than the name of the new feature update is what it will ship with. We already knew before Build 2017 that new features such as My People will likely find their way in the next version of Windows 10. Microsoft revealed several new or revived features that it plans for the Windows 10 Fall Creators Update. Microsoft used placeholders some years ago for its SkyDrive/OneDrive service. 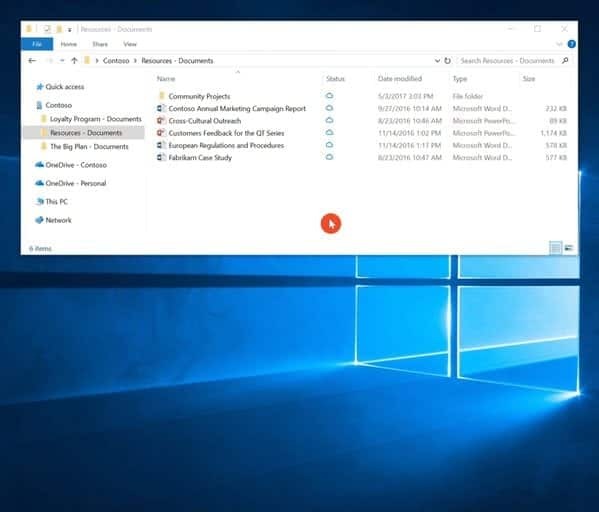 These highlighted all files and folders on the local PC that were stored in the cloud regardless of whether the actual files were also on the PC. Basically, what it did was allow you to see which files were available, and get those files downloaded quickly if you needed them. This saved disk space without omitting information on which files were available online. The Files On-Demand feature works exactly like placeholders did. Select a file that is represented by a placeholder, and it will be downloaded automatically and then opened in the default program. The new feature is said to work with personal and work OneDrive accounts, and with SharePoint Online team sites. Verdict: very useful and damn time. Clipboard functionality has not changed all that much in the past decade or so. This changes when the Windows 10 Fall Creators Update is released, as Microsoft will release "Clipboard" with the operating system. Clipboard enables users to copy and paste between connected devices and device types. So, you could copy a link on your desktop PC, and open it on your mobile phone, or on other devices running Windows 10. This functionality is tied to the Microsoft Account. Microsoft customers may remind that of OneClip, a Microsoft Garage project that allowed you to copy and paste between devices and different operating systems. This was pulled, but rumors suggested that Microsoft was working on integrating the feature directly into Windows 10. Verdict: useful for (some) users, but hopefully opt-in, or at least with an option to turn it off. Timeline allows users to go back in time to list applications that they have been working on. It is a visual timeline with search capabilities, and what is particularly useful about it is that it allows you to open these programs, files, or sites exactly the way you exited them the last time you used them. Microsoft Timeline allows users to go back to a previous snapshot of the operating system, along with open programs, and documents. Basically, what it does is allow you to restore an earlier snapshot similar to how third-party programs have offered this functionality. It is more powerful than system restore or backups in some regards, as it is like restoring a browser session, only that you are restoring the whole operating system. Information on the feature is scarce at the moment. Does it work like Comodo Time Machine and other programs designed for the purpose? How fast is the process? Can you return an infected system to a non-infected state using it? Verdict: Too early to tell. Could be really useful, or not. Windows Story Remix assists Windows 10 users in creating stories using photos and videos. It integrates with Groove Music and Remix 3D, and will create a base story automatically depending on the source materials that you provide it with. One demo on the stage showed how the feature used videos from multiple parents to create a highlight reel. Users may change music, filters and cuts, and Windows Story Remix features a simple and easy to use editor to customize the story further. What was known until now as Project Neon is now know as Fluent Design System. 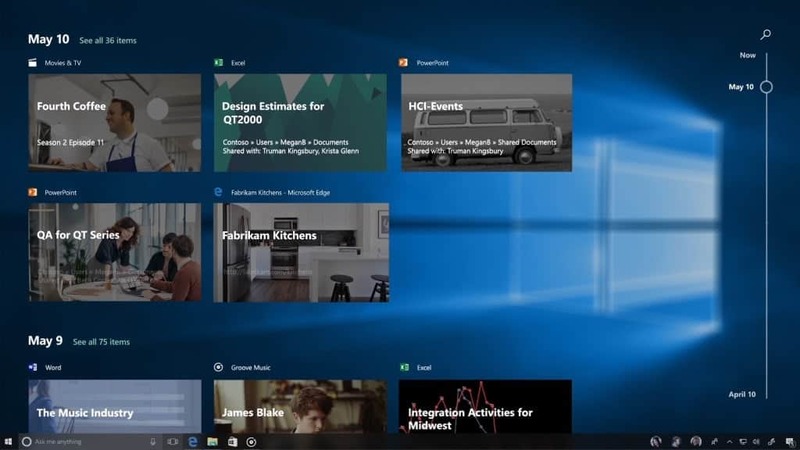 It is a design language for Windows 10 that includes new elements and functions that developers may use. Some Windows apps in the latest Windows 10 Redstone 3 Insider Builds feature design elements already. This is for instance the case for Groove and the Calculator. Microsoft announced that iTunes will come to the Windows Store. Also Autodesk, Xamarin Live Player and SAP Digital Boardroom. Cortana will get a new feature that allows you to pick up where you left off, even on other devices and between PC and mobiles. Ubuntu, Fedora, and SUSE will be available through Windows Store. Users may install those though the Windows Store to make use of them when they run them on the Windows Subsystem for Linux. Performance and responsiveness improvements for Microsoft Edge. One priority is getting rid of the small lag that you may get when you run tab operations such as opening or closing tabs. Also, Edge will get Fluent Design System touches. Now You: What is your take on these new features? Microsoft announced the name for the next feature update for Windows 10 during the first day of the Build 2017 conference: It is the Fall Creators Update. No more needing virtual box maybe, for those distros anyway. I had the impression the next upgrade was going to be called “social” or something along those lines where they emphasized networking and social media. DDK, first info was kinda wrong. You can install them to use the bash functionality. Oh alright. I maybe thought MS had an executable that could run Linux as a layer on top of Widows similar to an old program available through Ubuntu, think it was called wusapi or something similar. This was before bash coming to Windows. Oh man, if you think a little what goes through your clipboard: personal documents and images, passwords of your accounts, etc. Is this what they meant by “kiss your passwords goodbye” thing? It depends on how this is implemented. It would be fatal obviously if this is opt-out. I can see a use if you can enable individually when needed, but not use it at all if you don’t need it. It remains to be seen how this is implemented by Microsoft. Haha, MS has never been particularly good at naming things. Cloud-enabled clipboard is obviously the worst thing they could pull of their ideas clogged toilet; guess this completes the idea of tracking user inputs. It’ll be a huge privacy breach but sadly, as with other stuff MS did recently, nobody will care enough to force them to put this amazing idea away – because nobody did when Apple rolled same thing. I’m bit more concerned about Microsoft Timeline – this is a cheeky way to say, “hey, telemetry and tracking is really cool thing, see what we can do with this and how really useful it is for you; don’t be so afraid – it’s for your own good! As for Fluent Design System – I do expect that this will backfire in time and they will roll another UX-UI language concept; as they always did because they never learned to be consistent and permanently stick to one thing. And gods, what an awful edit job that video clip had. Fall ? Dont they realise its only Fall for half the planet, the southern half its Spring ? Fall ? wtf dont they realise its only Fall in the Northern Hemisphere on the other side of the planet its springtime ? Apple do the same though. They’ve always said something like ‘Coming this fall’ for iOS updates’. Another new feature : running iOS and Android apps in Windows. OneDrive placeholders are coming back ! Microsoft still deaf to the chorus of privacy concerns most reasonable people have over its rampant data collection practices. Still no easy way to completely stop all data uploads to Microsoft and other entities. Still no way to see what personal information is being stolen and how it is being abused, and no way to delete that data. hi!,I really like your writing very a lot! share we be in contact extra approximately your post on AOL? I require a specialist in this house to solve my problem. Maybe that’s you!